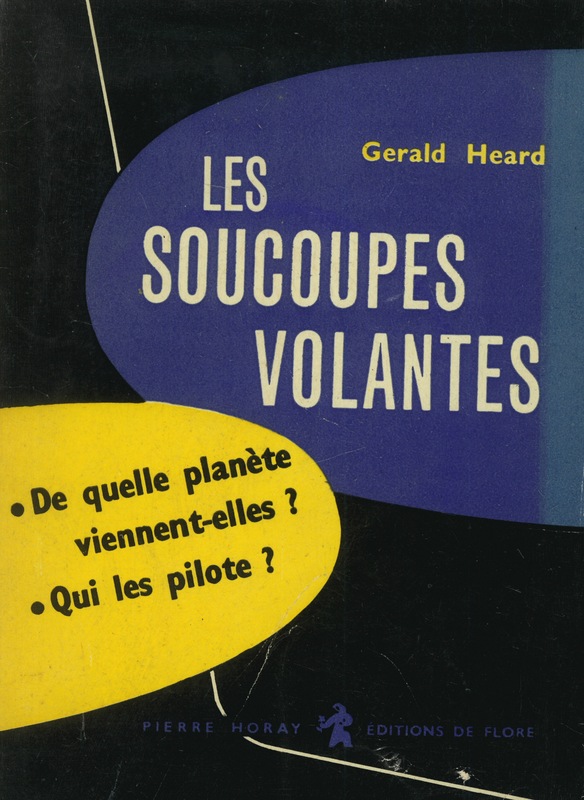 Soucoupes Volantes Viennent d’Autres Mondes. 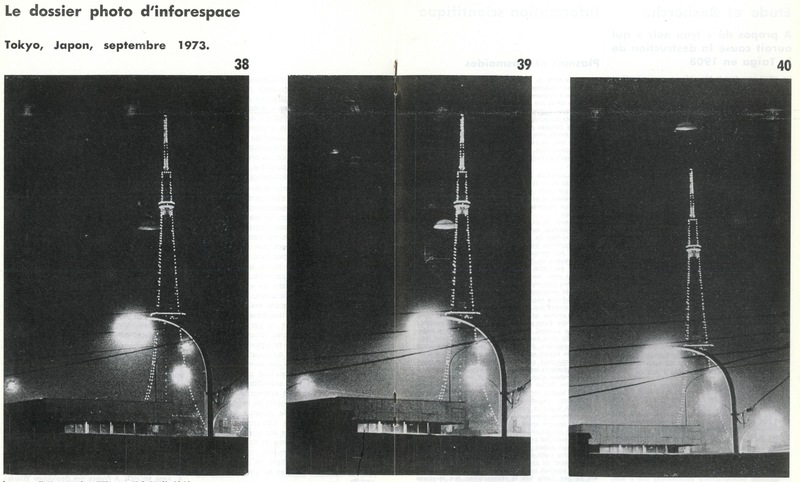 Photographic evidence of “OVNI” from the pages of Inforespace. Cosmologie Phénomènes Spatiaux Primhistoire. When the Soviets launched Sputnik 1 into space on the 4th of October 1957, eyes all over the world were suddenly on the heavens. This was no less true in Geneva, Paris, and Brussels than it was in Washington D.C. and San Diego. The final frontier had finally been broached and popular imagination turned to the night sky with an intensified curiosity. F.A. 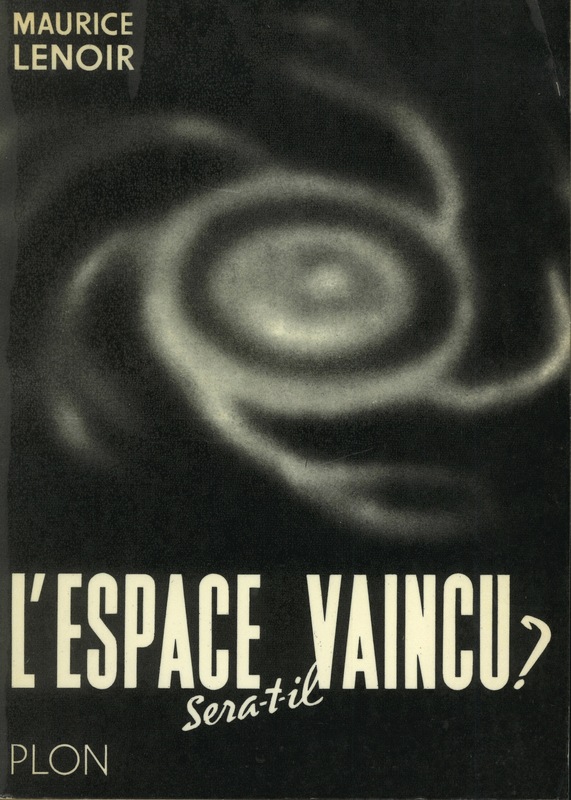 Bernett Books is pleased to offer a modest grouping of popular & speculative space science titles published in francophone Europe in the decades before and after Sputnik. Taken as a whole, the items show how French readers satisfied their hunger for news from the future and beyond the stars during the pioneering decades of the space race. Devaux, Pierre. 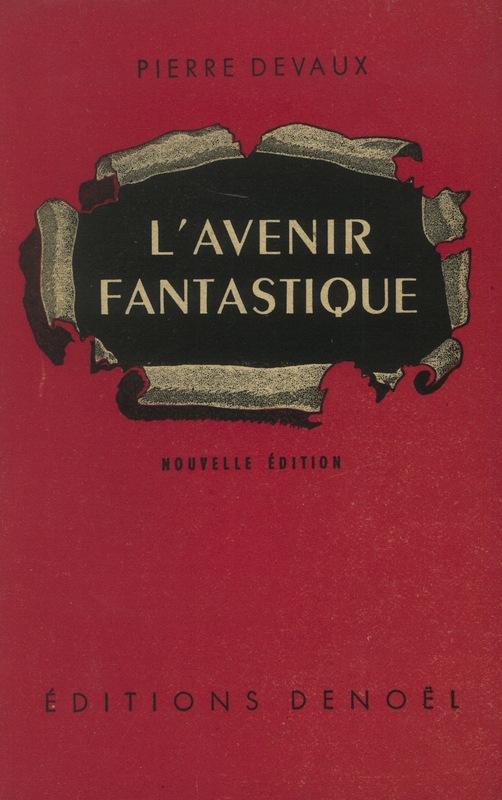 L’Avenir Fantastique. Édition 1947, avec la Bombe Atomique. 298 pp. updated and revised work of predictive speculation concerning the future of mankind and its technologies after the invention and use of the atomic bomb. Paris (Denoël, impr. de Chantenay) 1947. Jungk, Robert. La Futur a Déja Commencé. 244 pp. work of futurology promoting the benefits of technology and space exploration in the atomic age, illustrated with 16 photographic plates reproduced as tinted heliogravures. Paris (Arthaud) 1955. (Collection “Exploration” 6). 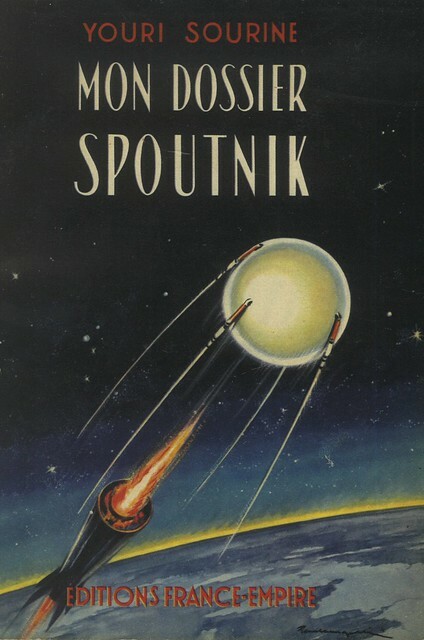 Soviet propagandists did not fail to recognize Sputnik’s potential to burnish the reputation of state socialism abroad. 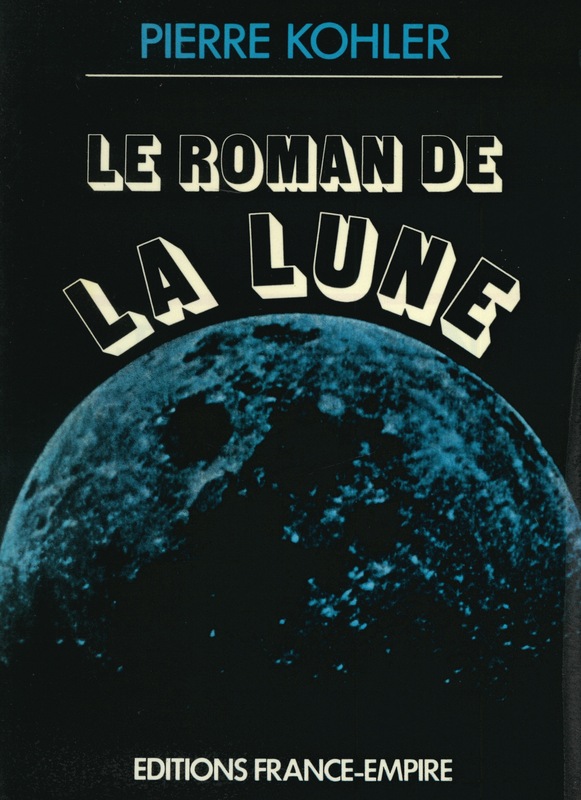 Several titles in the collection are foreign-language translations of Russian works that tout the superiority of Soviet engineering and esprit de corp, culminating in the achievements of the pioneering communications satellite, Laika the dog, and Yuri Gargarin. Sourine, Yovuri. Mon Dossier Sputnik. 284 pp. popular work concerning the age of satellites and the advent of space exploration, addressing both the science and the politics of Soviet achievements, illustrated throughout with text figures and on 8 plates. Paris (Éditions France-Empire) 1958. [Études Soviétiques]. 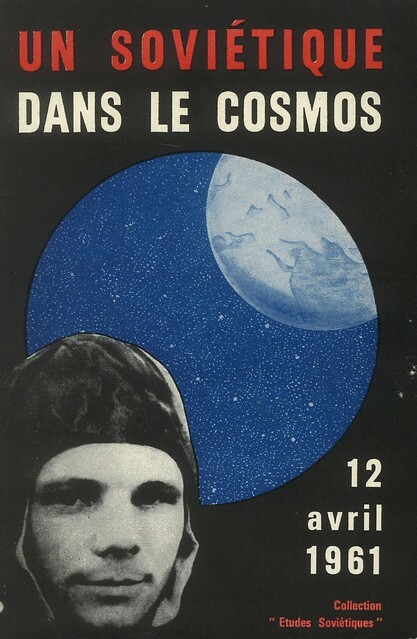 Un Sovietique Dans Le Cosmos. 12 Avril 1961. 79 pp. supplement celebrating the achievements of Soviet cosmonaut Yuri Alekseyevich Gagarin. Paris (C.D.L.P.) 1961. (Études Soviétiques, 158). The future of space exploration and research would be lead by cosmonauts, too, proclaimed several titles issued by Moscow’s Editions en Langues Étrangères publishing house. 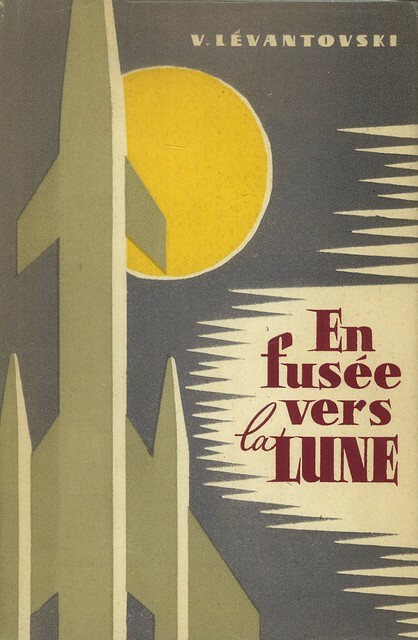 Lévantovski, V. En Fusée Vers la Lune. 458 pp. work concerning Soviet spatial and lunar exploration projects of the late 1950s and early 1960s, illustrated on 146 figures throughout the text and on 19 plates. 8vo. Moscow (Editions en Langues Étrangères) n.d. (ca. 1962). 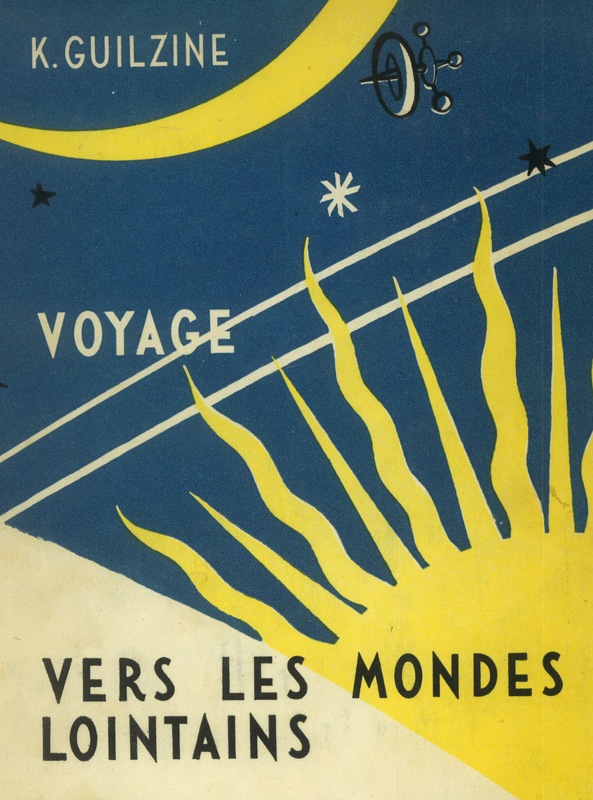 Guilzine, K. Voyage Vers les Mondes Lointains. 252 pp. 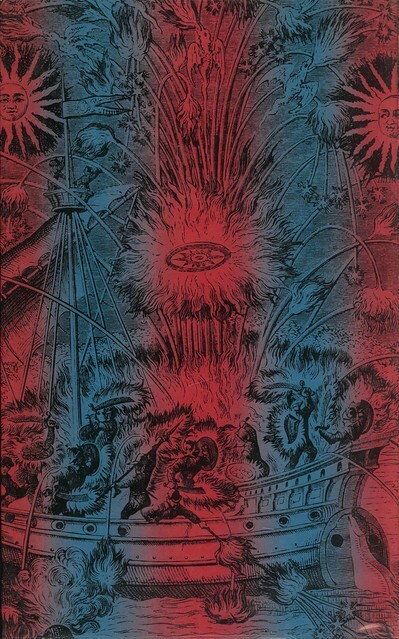 popular work concerning possible efforts to establish extraterrestrial colonies on satellites, the moon, and other worlds, illustrated on dozens of figures throughout the text and with 12 plates. Moscow (Editions en Langues Étrangères) 1958. Jdanov, G. & I Tindo. Laboratoires Dans L’Espace. 190 pp. 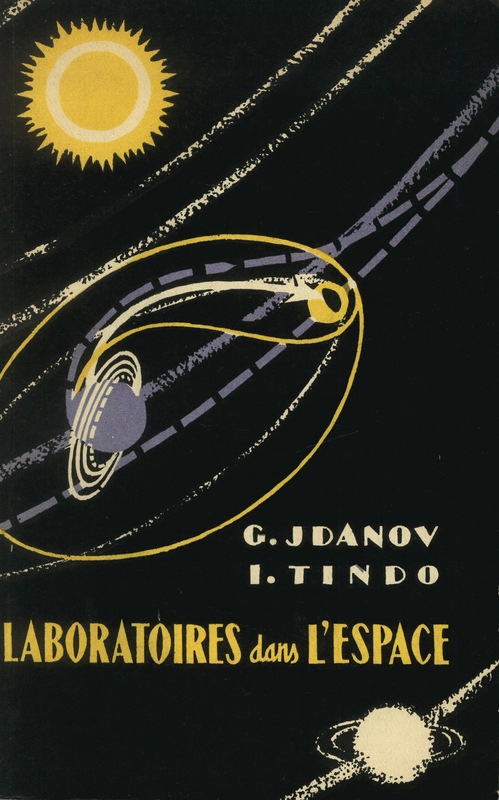 popular work concerning the development of space science in the age of Sputnik, illustrated on dozens figures throughout the text, a folding maps of the moon, and with 24 plates. Moscow (Editions en Langues Étrangères) n.d. (ca. 1962). Other volumes speak to more modest efforts by French publishers to enhance their reader’s understanding of rocketry and basic astrophysics, beginning with our own solar system. Canby, Courtlandt. Histoire de la Fusée. 112 pp. texts concerning the history of rockets and rocketry, from the ancient world through the frontiers of experimental science, illustrated throughout with reproductions of photographs, many color, drawings, historical etchings and other illustrations. Geneva (Editions Rencontre et Erik Nitsche International) 1962. Rousseau, Pierre. 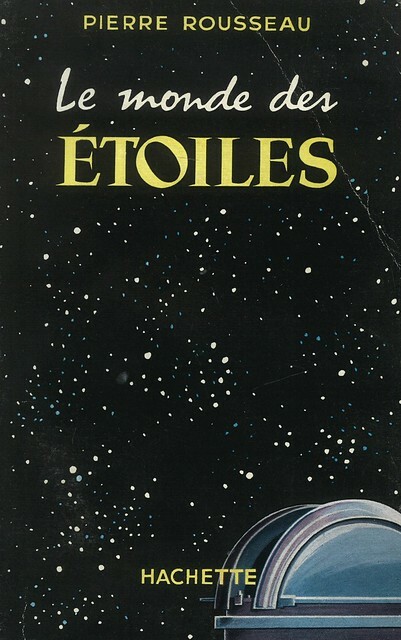 Le Monde des Étoiles. 246 pp. work of popular science concerning the astronomy of our planet, the sun, the solar system, and its place among the galaxies and wider universe illustrated throughout and on 16 plates. Paris (Hachette) 1956. Kohler, Pierre. Le Roman de la Lune. 298 pp. work concerning the myth and science of the moon, and its exploration by humans, illustrated with 16 plates. Previous owner’s name written in pen on title page. Paris (Éditions France-Empire) 1973. But mere science couldn’t possibly satisfy the public’s demand for answers about what might be going on in the next solar system or some distant galaxy. Luckily publishers didn’t let the limitations of observable phenomena and responsible applications of theoretical mathematics prevent them from delivering the goods. 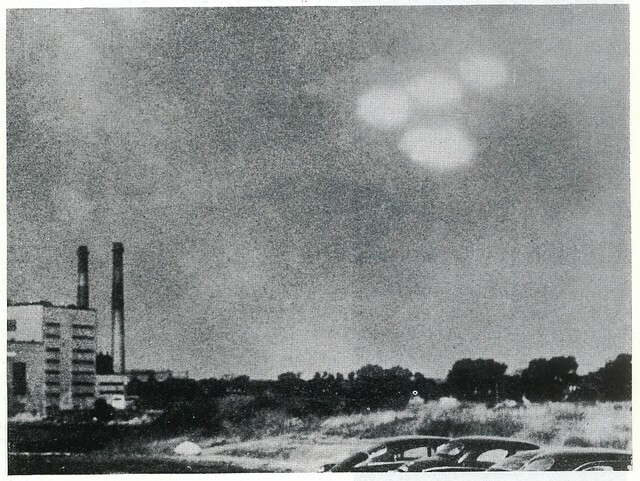 The collection includes a title that explains the atomic propulsion systems of UFOs, and several books that examine the likelihood of extraterrestrial life. Heard, Gerald. Les Soucoupes Volantes. 223 pp. work of speculative science concerning the origin, function and purpose of flying saucers, illustrated on 4 plates. 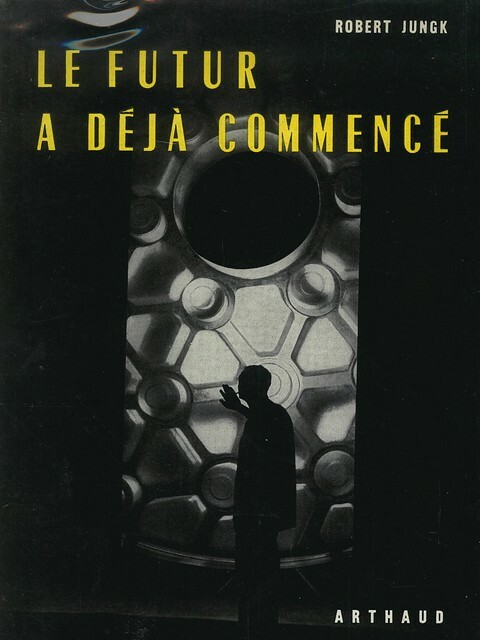 Paris (Pierre Horay Éditions de Flore) 1951. Plantier, Jean, Lt-Pilote. 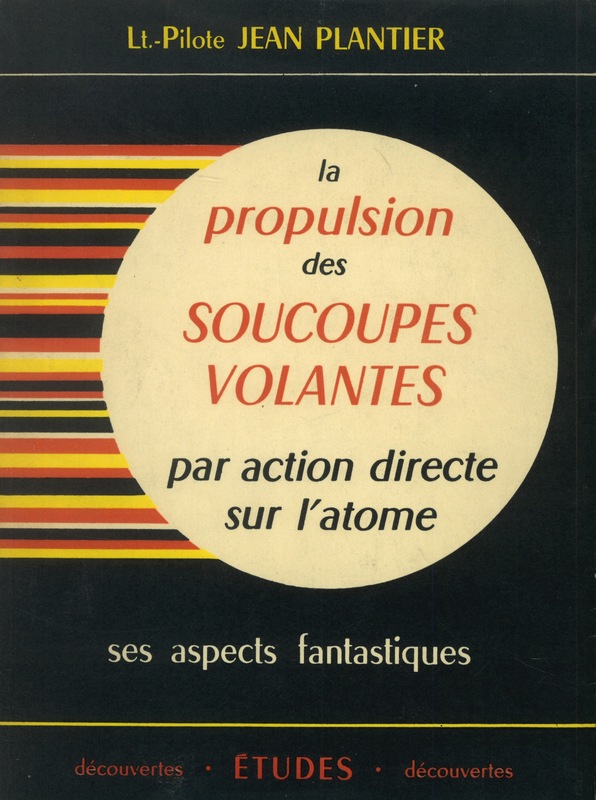 La Propulsion des Soucoupes Volantes par Action Directe sur l’Atome. 123 pp. work of speculative science concerning the possible atomic propulsion systems of UFOs, also including dozens of summaries of eye witness reports of flying saucers, illustrated throughout with numerous text figures and diagrams. Tours, France (Maison Mame) 1955. Lenoir, Maurice. L’Espace Sera-t-il Vaincu? 124 pp. 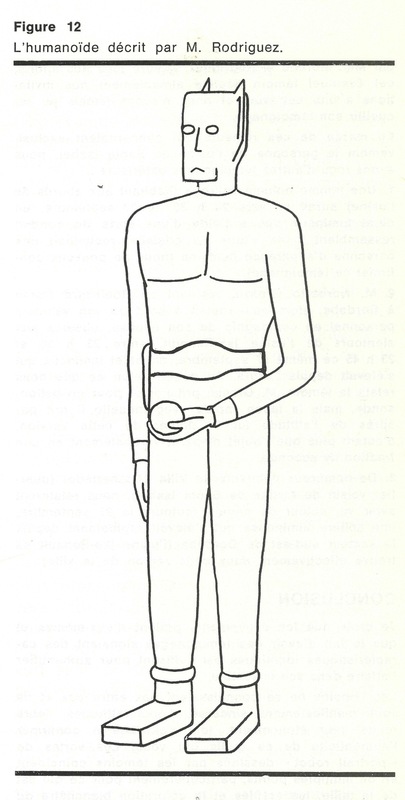 work concerning human space exploration, UFOs, and the possibility of extraterrestrial life, illustrated on 15 figures throughout the text and with 5 illustrations on 4 plates. Paris (Librairie Plon) 1955. 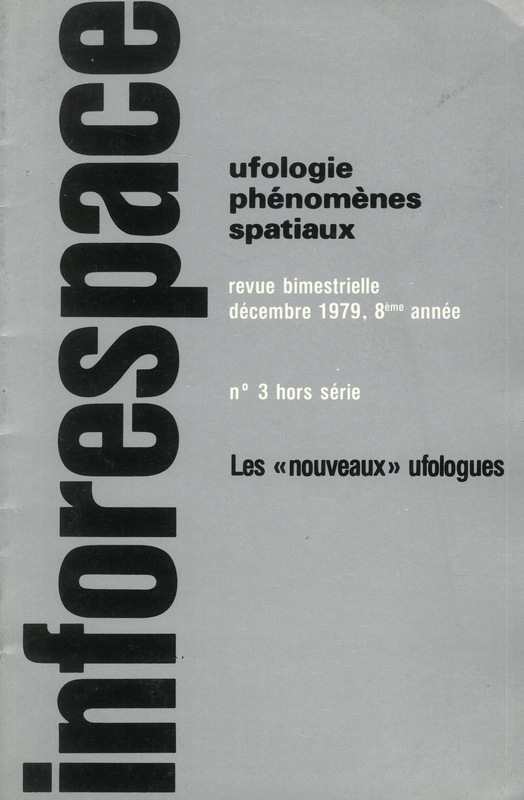 The centerpiece of the catalog is an 80-issue head-of-series run of Inforespace, the house organ of Société Belge d’Étude des Phénomènes Spatiaux (SOBEPS), Belgium’s premiere society for the study of UFOs. The serial’s charm lies in the sobriety and caution of its editorial voice and graphic design in contrast with the wildly speculative nature of the phenomena under consideration. Inforespace. Cosmologie Phénomènes Spatiaux Primhistoire. Revue Bimestrielle. Nos. 1 (1972) – 67, 69 – 71, 73 & 75, incl. the “hors serie” December annuals nos. 1 (1977) – 8 (1984). 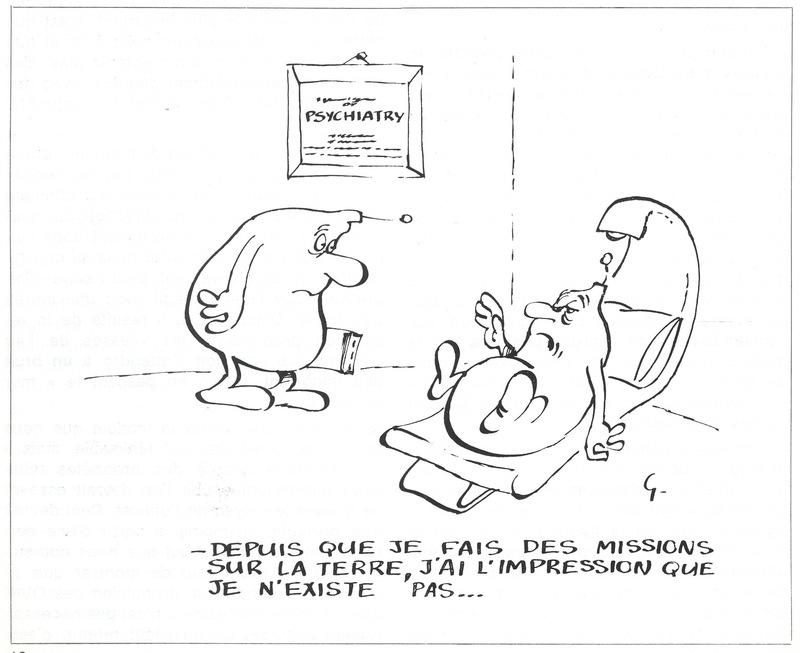 Altogether 80 issues comprising a 17-year head-of-series run of the newsletter published by the Société Belge d’Étude des Phénomènes Spatiaux (SOBEPS). 1972 – 1988. Like many of the books referenced above, Inforespace bears closer witness to humankind’s imagination than to hard science. 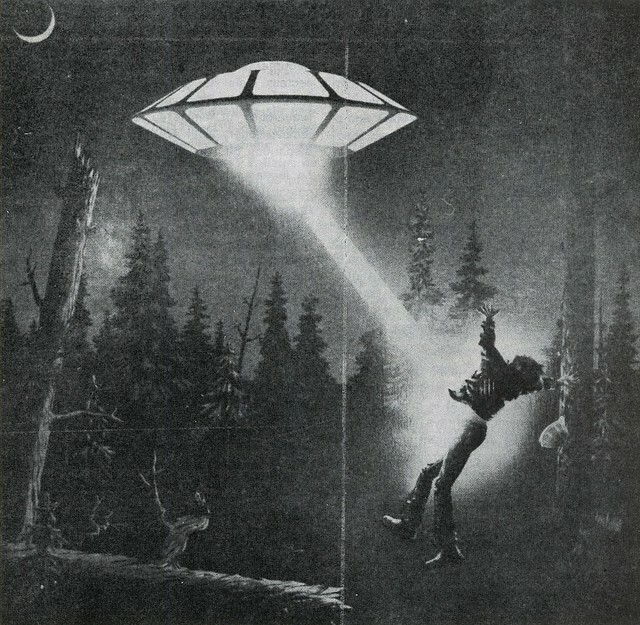 Ultimately, the magazine is about its readers’ belief in extraterrestrials and the desire to establish contact. The periodical ceased publication in 2007, apparently falling victim to a dearth of phénomènes spatiaux worth investigating, the high costs of print, and dwindling circulation. Nonetheless, the founders of SOBEPS continue searching the heavens for alien life forms an reporting the their findings in the editorial blog of the newly re-formed Comité Belge d’Etude des Phénomènes Spatiaux (COBEPS), which no longer makes any claims about the likelihood that there are truly extraterrestrial origins for any of the objets volants non-identifiés (OVNI) its members might encounter. What on earth is a space alien to do when even the UFO-logists have grown skeptical? For more information about the collection, or to inquire as to its availability, by all means, please do reach out and make contact. Hey! Someone in my Facebook group shared this site with us so I came to take a look. I’m definitely loving the information. I’m book-marking and will be tweeting this to my followers! Excellent blog and excellent design and style. J’ai trouvée votre poste par chance et je ne le regrette pas !! Next post: This Invitation Cannot Be Sold or Transferred.